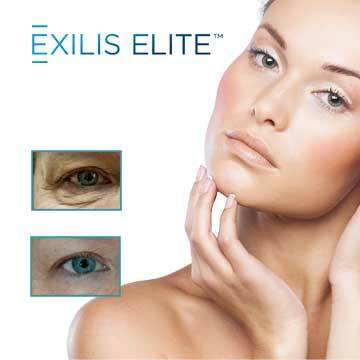 What is BTL Exilis Elite Satin effect? It is the only anti-aging procedure which is applied with BTL Exilis Elite device and uses Satin Face Lift radiofrequency and ultrasound, which is effective in all subcutaneous tissues. Two technologies have been used with different energy values and conduction forms since years. BTL Exilis Elite device transfers two different technologies to all subcutaneous tissues equally and homogenously. Rejuvenation begins inside through activation of all tissues. While collagen activity emerges at 21 days, skin gets firm, becomes healthier through development of elastin and connective tissue. The most ideal application interval is 1 week and 4 sessions in total as it is based on collagen activity. Individuals recognize the first real effect at the third session, namely at 21st day. More than 4 sessions are not applied as clinical studies have proven that collagen activation is 154% at only the second session.So more than maximum production cannot be reached even more than 4 sessions are applied. In some cases, 2 sessions may be sufficient. How do the outcomes of BTL Exilis Elite Satin Face Lift procedure vary? Education is given in accordance with international certification rules. Only the certified professionals should use the device. In fact the application is the same as it is minute-based however the interpretation of the practitioner would be important. Does BTL Exilis Elite Satin Face Lift have side effects? BTL Exilis Elite Satin Face Lift has been approved by FDA. It may be applied at every age and to everyone who can undergo collagen activation. Outcomes may vary among individuals however some cannot yield positive outcomes. Subcutaneous fat tissue is not lost, no asymmetry occurs. Nerve damage does not develop and most importantly, there is not the risk for failure. 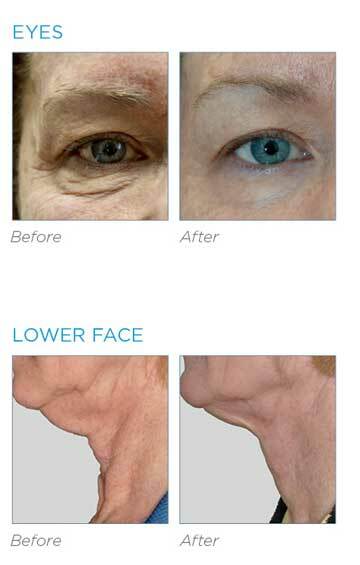 Can BTL Exilis Elite Satin Face Lift be applied to me? The main purpose of satin face lift procedure is rejuvenation of all subcutaneous layers. It may be applied to everyone who does not have collagen disorder. It may be applied regionally if desired. For example, in only periorbital region or lower face. The procedure which can be applied to neck and decollete has been specially approved for wrinkle elimination and periorbital wrinkle elimination by FDA. Satisafctory outcomes have been yielded in upper eyelid, lower eyelid swelling and ecchymosis, in regions herniated at some degree or in regions with impaired circulation. What should I expect from BTL Exilis Elite Satin Face Lift? You may feel heat which does not exceed 42 °C and reconstructs collagen without killing it. A pinkish appearance develops, skin looks shiny and gains a better tone through connective tissue firming and novel elastin tissue formation. This change continues by gradually increasing. This effect which is defined as satin effect was observed to be maximum at 3th month (154% increase), the increase is seen to continue until 9th month and become normal at 12nd month. For example, if a person with skin age of 45 is applied this procedure, skin age becomes 43 at the end of first month, 41 at the end of the second month and 39 at third month and preserved until the end of the first year. The skin age will continue to progress from 39 years. Skin does not return to its previous status. This may be explained as a healed wound’s not returning to its previous status. No sudden changes are seen, namely you would not turn to another person. Natural rejuvenation converts you to previous you. Hollywood stars explain why they prefer this procedure as follows: “I work with my face, mimics. It is obvious that sudden changes are not proper form me, so I may state that a gradually rejuvenating skin and other people’s not knowing what happened is stopping time”. We may not state the name of the star as it would be advertisement.